EXCLUSIVE / Fourteen MEPs have signed a letter to EU Transport Commissioner Violeta Bulc demanding the European Commission propose legislation to impose new tolls on trucks. The Commission’s Energy Union plans announced earlier this year dropped truck tolls laid out in earlier versions. 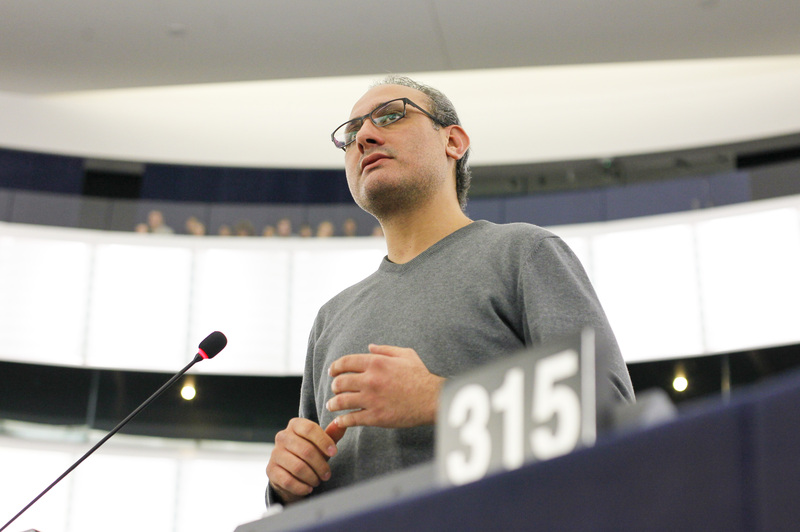 The letter, dated 18 November, was sent by German MEP Ismail Ertug (SPD) and signed by thirteen other MEPs from the S&D, EPP, ALDE, Greens, GUE/NGL and EFDD groups. There is currently no CO2 standard for trucks in Europe, although cars and vans’ CO2 emissions are limited. European Commission data shows trucks contributing one quarter of CO2 emissions from road transport in the EU, although campaigners estimate the figure to be higher. MEPs who signed the letter to Bulc want trucks to shoulder more responsibility for the environmental harm they do. One request from the group of MEPs is a toll system that varies costs based on trucks’ CO2 emissions or energy efficiency. The letter slams trucks for their poor track record on paying adequate charges and tolls to balance out the hefty environmental damage they do. “The current air pollution charges do not reflect the true health impacts of air pollution from heavy goods vehicles,” the letter reads. The Commission axed plans for truck tolling legislation from its Energy Union announcement in February. According to one source, DG MOVE is more or less in favour of the MEPs’ demands, but “the problem is higher up”. Frans Timmermans, EU Vice-President in charge of better regulation, has resisted adjusting road charges. In the Netherlands, where Timmermans is from, there are sensitivities about road charges because of the country’s lucrative freight industry. The MEPs asked Bulc to “swiftly review” the Eurovignette directive, the optional legal frame now in place that allows EU member states to charge heavy trucks based on the amount of time they drive or demand tolls based on distance. Time-based vignettes do not promote efficient driving and should be replaced by charges by kilometre, according to the MEPs’ letter. The MEPs called for an amendment to the Eurovignette directive to scrap time-based charges and draft legislation that moves towards “full and mandatory internalisation of external costs and that enables the differentiation of tolls based on the energy efficiency of CO2 emissions of trucks”. The Commission is expected to present new legislation on road transport next year. The MEPs asked Bulc to include new toll legislation for trucks in that proposal. A Commission press officer referred to the executive’s 2016 work programme, which promises “the use of non-discriminatory road charging schemes based on the polluter-pays and user-pays principles”. The Commission did not respond to a request for comment about the MEPs’ letter. Trucks, buses and coaches produce about a quarter of CO2 emissions from road transport in the EU and some 5% of the EU’s total greenhouse gas emissions – a greater share than international aviation or shipping, according to the European Commission. Despite some improvements in fuel efficiency, CO2 emissions from Heavy Duty Vehicles (HDVs) rose by some 36% between 1990 and 2010, mainly due to increasing road freight traffic. In May 2014, the European Commission set out a strategy to curb CO2 emissions from HDVs over the coming years. It is the EU’s first initiative to tackle such emissions from trucks, buses and coaches. The Commission said it intends to propose legislation in 2015 which would require CO2 emissions from new HDVs to be certified, reported and monitored.